What are the top 4 things anyone mixing metal should focus on? 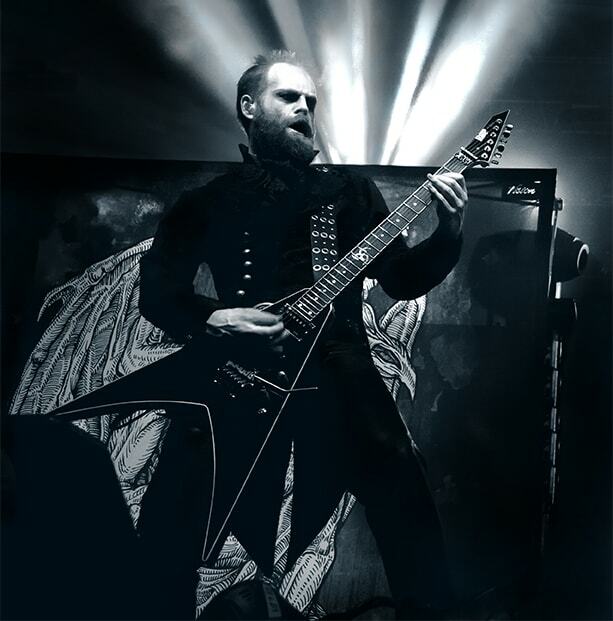 Andy Sneap (Judas Priest, Megadeth) shares his tips & techniques for mixing metal guitars, drums and more. 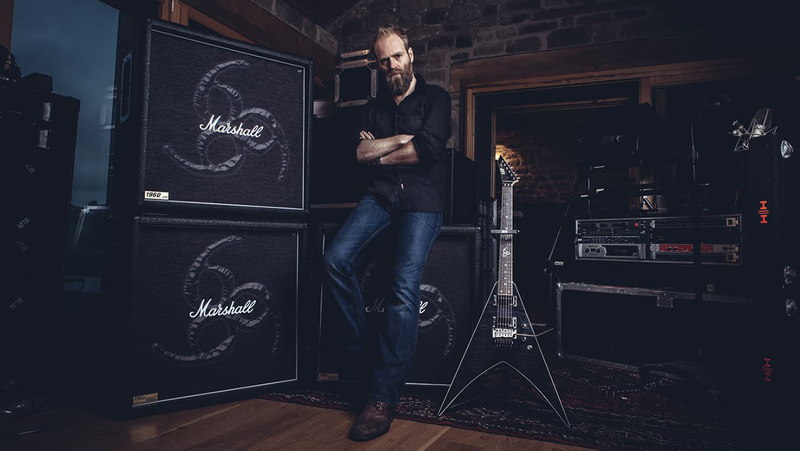 A legendary metal guitar player-turned-producer/engineer, Andy Sneap has produced and mixed over 100 albums from his Backstage Studios in Derbyshire, UK, working with a who’s-who list of classic and modern metal, including Megadeth, Opeth, Killswitch Engage, Arch Enemy, Obituary, Kreator, Fear Factory, Accept, Amon Amarth, and many more. 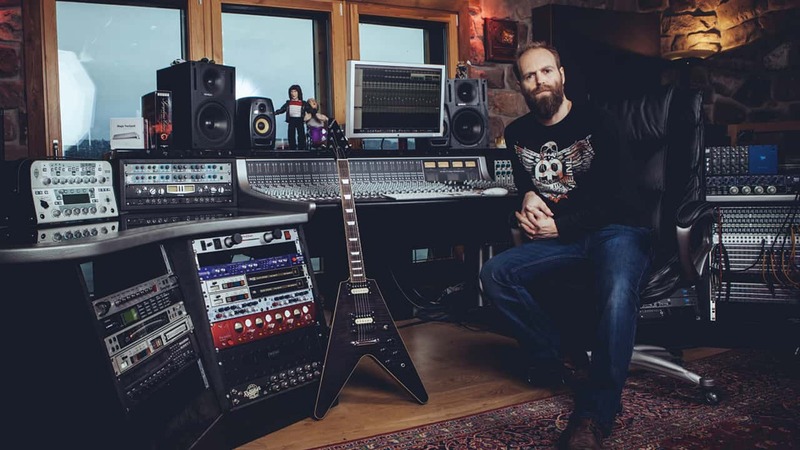 We caught up with Andy as he was producing the eighteenth album by heavy metal gods Judas Priest, to talk about his mixing techniques, his go-to tools, and the Big Four things he believes any metal mixer should pay the most attention to. Hi Andy, how has it been working with Judas Priest? Great. Actually, I’m working on albums by both Priest and Saxon right now. It’s great fun working with both bands as I grew up listening to them, so it’s interesting being on this side of things these days. Back in the day, there was sort of a separation between ‘classic’ metal like Priest or Accept and newer, more extreme metal subgenres – thrash, death metal. As a producer and mixer, do you approach Judas Priest differently than you would a more extreme metal band? With the more traditional bands, you have more scope with melody and arrangements, and the songwriting is crafted more around the vocal. The extreme bands tend to be more about the heaviness and the riff. But you have to remember a lot of the thrash acts have a very classic nature, and guys like Exodus or Kreator all grew up listening to Maiden, Priest, etc. So we’re all reading from the same hymn sheet, so to speak. You started your career as the lead guitar player and main songwriter for the great British thrash band Sabbat. How did you make the transition to working mainly as a producer and sound engineer? I always enjoyed the creativity of being in the studio, so it was a natural route for me once Sabbat folded. I found I was okay at engineering, and people seemed to like what I was doing. I did a lot of live sound to start with – touring and mixing in local venues, and then working at local studios, including my own small setup which eventually became Backstage Studios. I never thought I’d make a living out of music. My parents always wanted me to get a proper job, so it’s been nice to prove them wrong! When you work with someone like [Priest guitarist] Glenn Tipton or [Megadeth’s] Dave Mustaine, do they bond more easily with you because you’re a respected metal guitar player and songwriter in your own right? I think coming up as a musician has helped immensely, especially in seeing eye-to-eye with the bands I work with. Getting a guitar tone for instance – you need to be able to play the guitar and feel the response through the speakers; to me it’s the only way of REALLY dialing it in. Also, being a musician I find it easier to demonstrate the ideas I’m hearing, work out harmonies, jam in the studio; it’s an invaluable tool. Let’s talk mixing. When you mix, do you work with templates or have any sort of procedure? I tend to mix all the drums first, move onto guitars, bass, then vocals. I’ll keep working around all the songs in an album so I don’t get bored, which also helps to create a more balanced feel between the songs. If I get something I’m really digging, I’ll import it into any song that I think it’ll work in. So it’s not really templates as such, but the mix will speed up as it goes along. I tend to work in the box for the first part of the mix, get everything to a good point, and then route out through my SSL desk and play with some outboard toys for the final part of the mix. What are the top four things you think anyone mixing metal should pay attention to? The vocal, the low end, and what I would call ‘details’ in both the guitars and the drums. The two hardest things to get right, I always say, are the low end and the overheads, probably because they’re both so dynamic. What’s your basic approach to the vocal? I like the vocal to always be fully audible, not buried. I want to be able to picture the singer singing, even to the point where it might almost be too loud. I’d rather that as opposed to too quiet. Vocal Rider can work great on helping give vocals that extra bit of clarity while keeping them on top of the mix. Other tools I like using on vocals are the Doubler, which is [Testament vocalist] Chuck Billy’s go-to harmonizer, and the Butch Vig Vocals plugin for adding a bit of edge to a vocal. How about your top tips for the low frequencies? I have a little trick for low-end guitars, especially if there are several guitars – let’s say four guitar tracks – and they’re getting a bit lumpy in the lower-mids around 135 Hz to 200 Hz. I’ll take the C4 compressor, use the ‘Too Much Limiting’ preset, switch only the second band in, and tickle the guitars so it’s just ducking them when they hit a low chug hard. The F6 dynamic EQ can do the same thing also, just dynamically ducking that area. I also tend to use the C4 comp on the bass DI before I re-amp, so that it’s pinning everything before the amp – it keeps the pick attack a lot more in control. One more thing to think about when mixing heavy music is that the speed of the song determines what the low end is like – if the song is slower, I’ll want the low end to be heavier. Anything more specifically for the bass guitar? Is it true you always record it last and then pitch-shift it? Yes, I record bass usually after guitar as it helps fit the tone in. Regarding the pitch-shift, bass players often hit sharp when they dig in, so subtle use of a pitch correction plugin – for example Waves Tune – is a good way to keep the bass in tune. I do that after tracking, but only if the bass gets out of tune, pushing sharp with the hit. Do you mix the drums differently when you work with different bands and different drummers? The music definitely determines the mix. Exodus have searing guitars, so the drums have to fit in with that. On Testament’s The Gathering, Eric [Peterson] used Mesa Boogies for his guitar, so Dave Lombardo’s drums had to gel with the guitars in that thicker kind of way. In Obituary, the drums are tuned super-low and slappy, so right there it gives you a character for the mix. The trick is to adopt the band’s approach but give it your stamp – balance the band’s tone with your style of mixing. Your projects are known for a clear, clean drums sound: you can hear every component of the drums, crystal clear and with definition. In your book, is leakage or mic bleed a nasty word? No, not at all; but I do like to have control. So if cleaning up a ride track helps with the snare phase, or if editing a china track allows you to make it pop in the mix, sometimes that’s the only way to do it. Which tools do you use to process the drums in that respect? Do you heavily gate them to avoid unwanted bleed? I do all of that manually; I’ll sit here for hours cleaning tracks up. The L2 Ultramaximizer, the C4 compressor and the F6 dynamic EQ are all tools I use to help the cymbals come out where the snare is too dominant. Sometimes the L2 can just stick it back in the mix enough, but it’s worth trying to limit the 400 Hz range if you’ve got something boxy happening – especially if the drums have been tracked in a low room and you’ve got snare coming back off the ceiling. Could you give us some tips on how you use reverb on drums in metal production? I’ll automate the decay and amount and sometimes add a bigger snare or door-slam tom hits to add dynamics on sections. I’ll have an additional verb on toms as well – a tiled room or plate to add a bit of body and slap; something like H-Reverb works great for that. Let’s get to guitars – do you sometimes pick the amps and/or amp modulation tools for the band, or does the band or the guitar player always choose them? It’s a joint effort. If the band has a set sound and rig they’ve been using it’s fun to try something new. Usually you find the pro guys are very dialed in and have great gear. 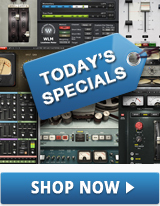 How about guitar gear – it’s no secret that you love the 5150s. Any other amps that caught your attention lately? Have a go-to guitar cabinet these days? I have a ton of stuff. I really like the Fender 5150 and I have all my old 80s Marshalls that have been re-tolexed, sealed and refitted with V30s by the guys at Marshall. Those things sound so solid. I also have an oversized, ported Krank cab with 8 ohm V30s, which records really well. I recently went back to all my old Marshalls and got them re-tubed. The 800s still sound raging in the right hands and the JVM is pretty good too. Is it true you sometimes use guitars that were tracked by the band members at home? With home recording setups getting better and better this happens quite a lot now. I did that with Exodus – for Blood In Blood Out [guitarist] Gary Holt recorded all his guitars himself. I’ve done A LOT of what I call ‘ghetto’ recordings with the Exodus guys. They like to keep things cheap! We’ve rented houses in the middle of nowhere and made the biggest racket. Lots of fun. Portable rig, a laptop, bunch of mics and off we go. Sleeping in the same room as the gear, the band cooking the cheapest food they can get. Some of the best times I’ve had recording in the last 20 years. When they track bits on their own at home I’ll just instruct them on what I need. It’s easy these days with video chats. Another secret weapon I like using is the Q-Clone EQ capture plugin. It came in useful on the last record I did with Machine Head, when we had to give a Massenburg GML 8200 [hardware equalizer] back to its rightful owner, but we could still use those 8200 tones through the Q-Clone. What’s your view on re-amping guitars and using virtual amps vs. playing straight from the physical cabs? Do you do both? I've used Waves GTR on bass quite often; there are a couple of settings with great low end in there. I always record a DI just in case. It baffles me when people don’t do that – why wouldn’t you?! If you take both a mic signal and a DI, what are your tips on mixing the original guitar/amp with the re-amped signal? I don’t often mix the two, but when I do something like the InPhase plugin would be the way to go. A lot of times, especially with re-amping, I’ll put a click on the DI before the track then line up by sight (because of latency) to avoid phase issues. When you record and mix on a tight schedule, what about the guitars – or any instrument, really – do you insist on getting 100% right during the recording session, and which things do you decide that you will be able to solve later in the mix? Guitar tone can be sorted in the mix, it’s the performance that really has to be right. So it’s first of all about capturing the attitude and song. By the way, that’s why live versions can be so cool sometimes: the band has been playing those songs solid for weeks or months, so they’re more rehearsed than when they went into the studio to track them! We’ve talked about mixing, but if you were now a beginner sound engineer with a low budget, what would be the first things you’d spend your money on? Probably the computer, then monitors, then preamps. You get what you pay for, but I think there’s a lot of added hype around gear. I did some great recordings with SM57s, a Mackie board and ADATs. I’ve never been a gear snob – almost the opposite, actually. I quite like the challenge of making things work; you discover tricks. I think it’s important to get out in the real world too, to find a rehearsal space and offer to record bands for free, have some fun being creative. You’ll learn quickly from your mistakes, and if you are any good, word will get around. Finally, are there any artists you haven’t worked with yet that you’d like to? Slayer would be fun – I always have a nice chat with [Slayer guitarist] Kerry King when I see him but they’ve already got their go-to guys, as have most pro bands. I’m a bit of an old-school guy, really, so it’s always fun to work with the classic, more established bands.